BAILEY Sibraa's dad said the sentence given to his son's killer didn't come close to the suffering and grief his family endured seeing the teen's lifeless body underneath a white sheet. 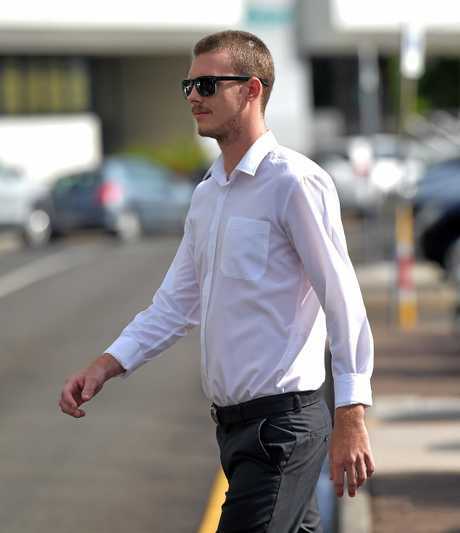 Jett Malcom Morris was yesterday sentenced to six years' jail for causing the horrific car accident that killed Bailey and caused severe, lifelong brain damage to his other friend, Josh Harrison. 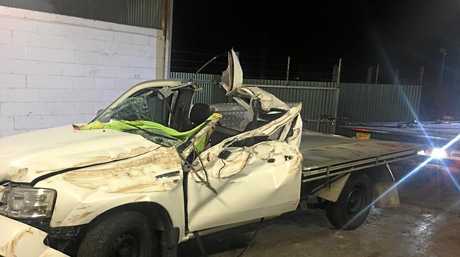 Morris, 20, was affected by drugs and alcohol when he got behind the wheel of his Ford Ranger ute at Point Cartwright on January 6, 2017. 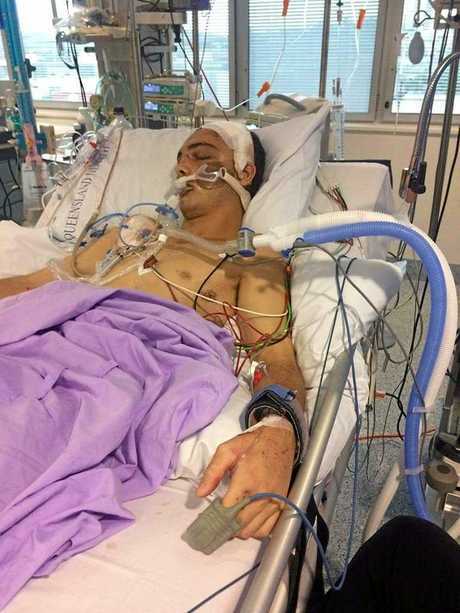 He pleaded guilty to one count of the dangerous operation of a vehicle causing death and one count of causing grievous bodily while adversely affected by an intoxicating substance at the Maroochydore District Court. The three boys were best mates. They, along with another car full of friends, had just finished a session of afternoon drinking and decided around 7pm they wanted to get food. Josh sat in the middle seat of Jett's three-seater and Bailey sat on the window side. The other group piled into a separate Toyota Hilux. The groups took off towards Pacific Boulevard at Buddina; Jett was driving behind the Hilux. Both cars approached an intersection and, in a "stupid act of bravado", Jett tried to overtake his friend's car by pulling up alongside it on the wrong side of the road. The court heard the road was too narrow and Jett ended up sideswiping his friend's car before hitting a traffic chicane. He managed to cross back on the correct side of the road but drove up onto the kerb and the car slammed into a tree. The impact killed Bailey and left Josh Harrison with critical head and brain injuries. The court heard there was no sign Morris tried to use the brakes. Morris returned a blood alcohol content reading of .118% and a drug test revealed he had .014mg of cannabis in his system. Josh would spend the next several months in hospital with severe facial and brain injuries and is still undergoing therapy to help work through the subsequent brain damage he now suffers. 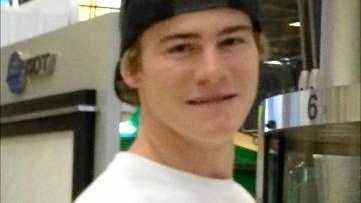 Bailey's dad Steven said the family was sitting around the kitchen table eating dinner when they got the phone call. "At first it sounded like he was just hurt, but okay," Mr Sibraa said. "We got to the hospital before Bailey did and we were waiting for about 20 minutes." The court heard Mr Sibraa was running up to the ambulances pulling up outside the emergency department, yanking open doors in search of his son. "I kept asking whether my son was inside one of them but he never was." They family then got a call from one of Bailey's friends at the scene, who told them Bailey was still inside the car. 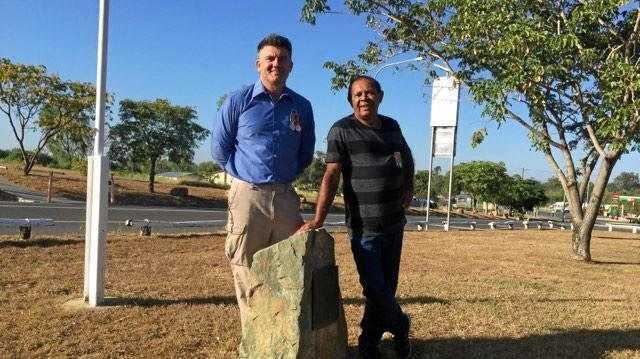 "We drove to the scene, the whole time thinking we would be there and be able to comfort our son, who would be hurt, but he would be okay," Mr Sibraa said. "What we saw that night, was the stuff of nightmares. "No parent should have to see their child, motionless, covered by a white sheet. Even seeing that, we still didn't believe it was him. "His brother and sister crumbled at the sight." After a few hours police officers asked Mr Sibraa to confirm whether the photos of the tattoos they had taken matched his son's. "This was when we knew it was really him." Mr Sibraa said his "biggest failure in life" was seeing his son's lifeless body in the casket at his funeral. "I couldn't protect him...I would never be a grandfather to his children. "My boy, my handyman and my mate." The full courtroom was clearly divided into three parties. Judge Robertson said Morris had prior drug driving offences. 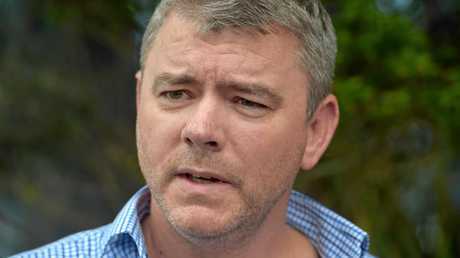 He acknowledged Morris suffered from PTSD because of the crash and felt "deeply shamed" and "disgusted" at his choice to drive while adversely affected. The court was told Morris sent letters of apologies to both families. Morris will be eligible for parole on March 26, 2020. His driver's licence was disqualified absolutely.